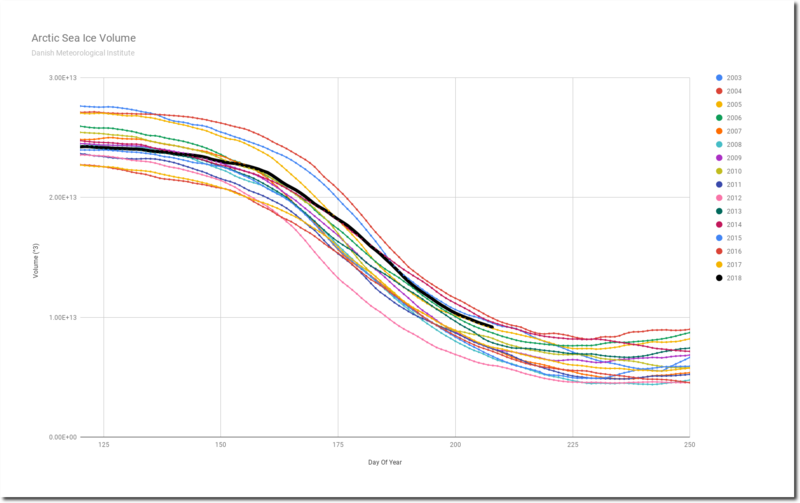 Arctic sea ice volume loss has been the slowest in the DMI record this summer. 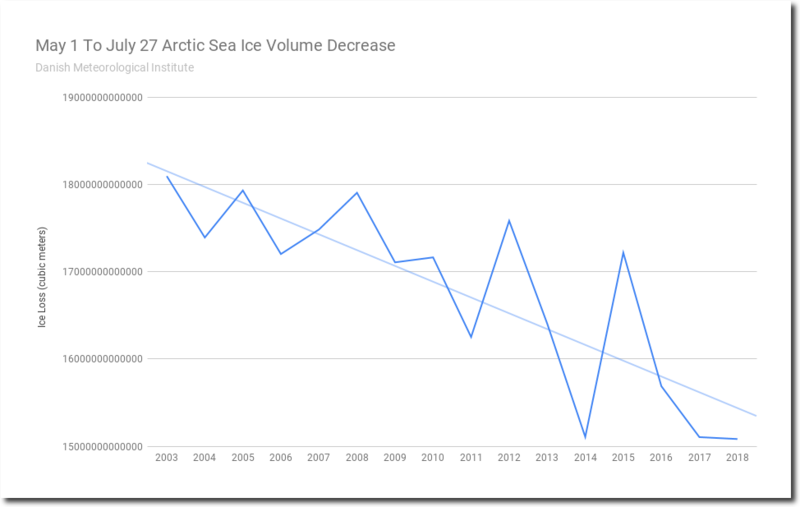 The amount of ice melting from May 1 to July 27 has plummeted during the last fifteen years. 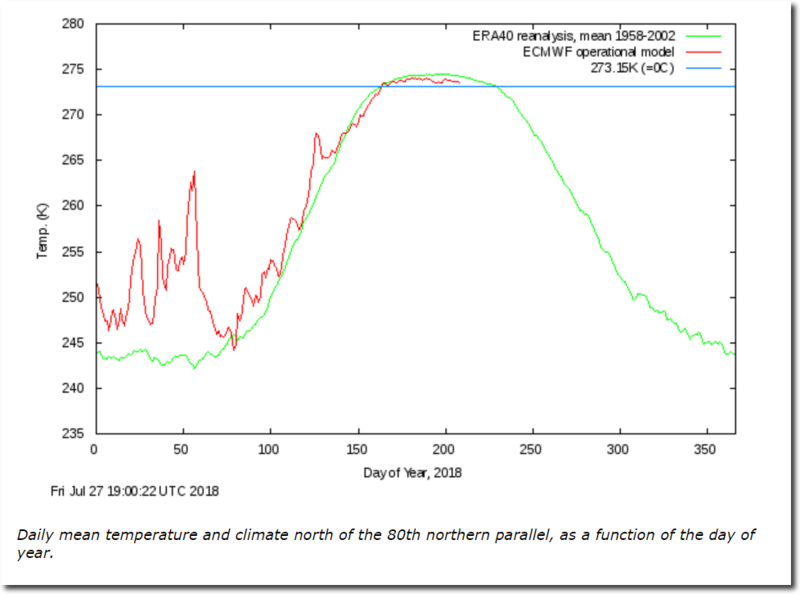 This is not surprising, because it has been the coldest summer on record at the North Pole, with temperatures below normal almost every day for months.